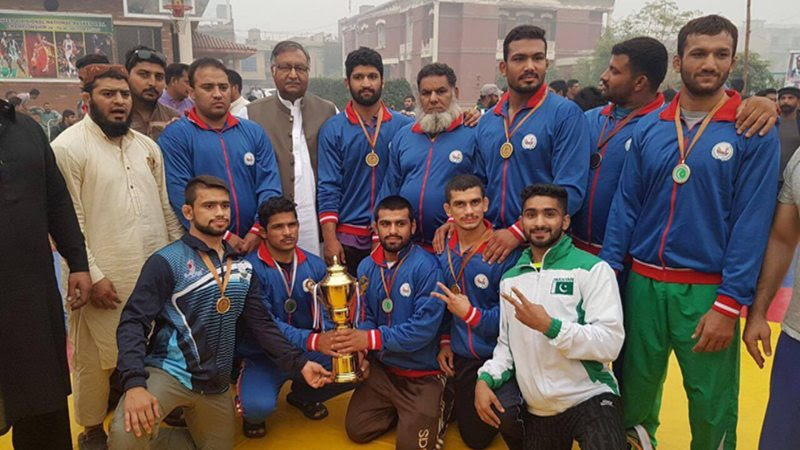 LAHORE: The National wrestling championship held at Faisalabad was won by the WAPDA wrestler’s. The WAPDA team showed all round skills coupled with superior technique and won the title. Punjab, Islamabad, Sindh, Army, Higher Education Commission (HEC), Police, Railways and Wapda. 1st: Wapda secured 97 points and won 7 gold, 2 silver and 1 bronze medals. 2nd: Pakistan Army with 79 points scooped 2 gold, 3 silver and 4 bronze medals. 3rd: HEC won the 3rd position with 75 points. – Mohammad Umair (97 Kg) bronze.